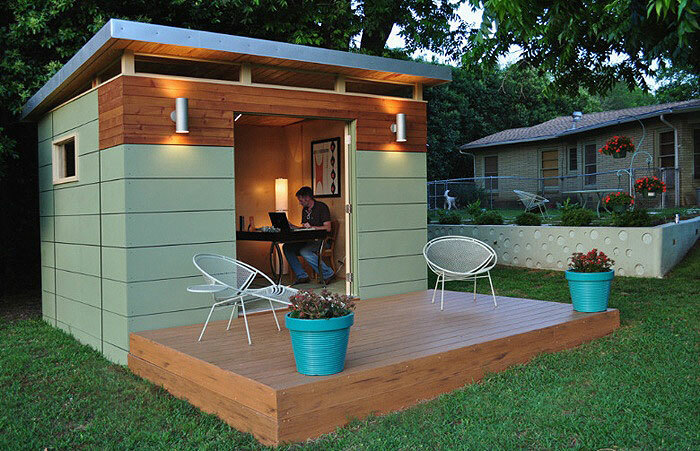 Space-efficient work spaces are becoming all the rage these days. They’re great for maintaining privacy and uninterrupted workflow, and they can also be cozy and stylish as well. 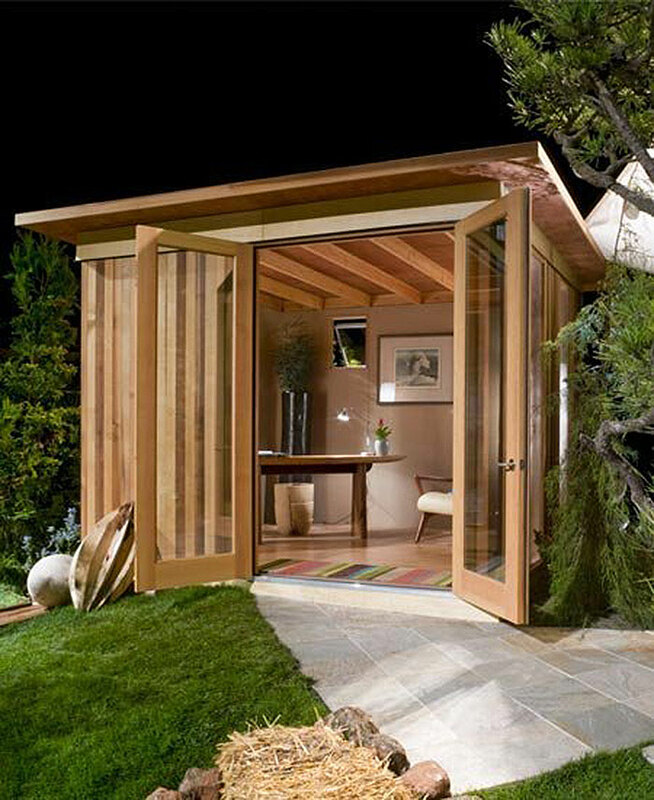 Here are some examples of a growing trend of miniature studios (for offices and living structures), that are small enough to fit in someone’s back yard. 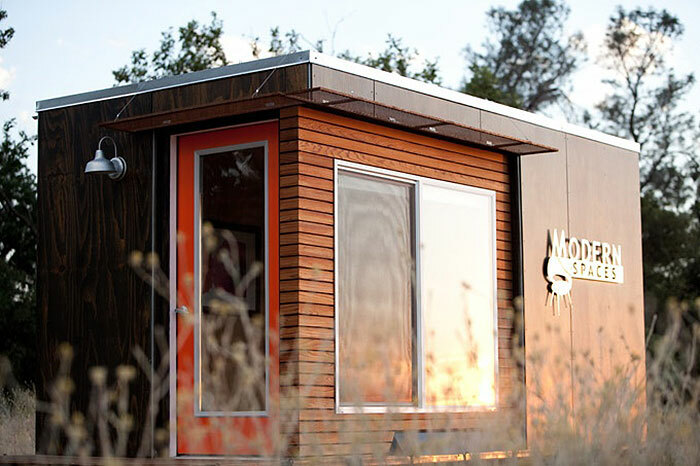 We’re fond of calling them shedquarters. Whether you need your own getaway space, an office, an art studio or a full on extra home, there’s something for everyone out there! 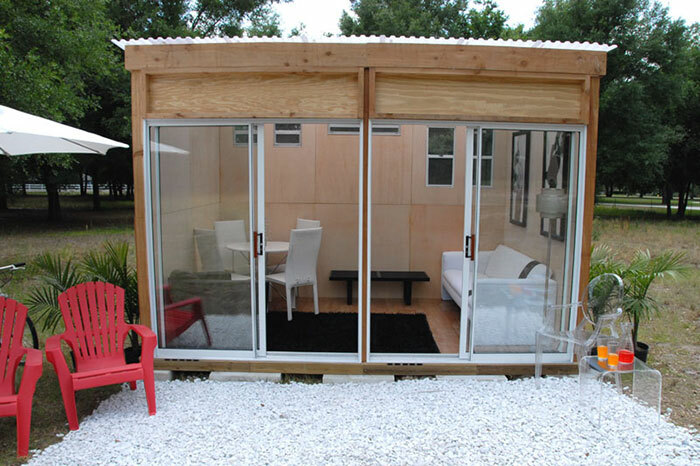 Based out of Austin, Texas, Kanga Room has backyard studios in three styles: modern, country cottage and bungalow. 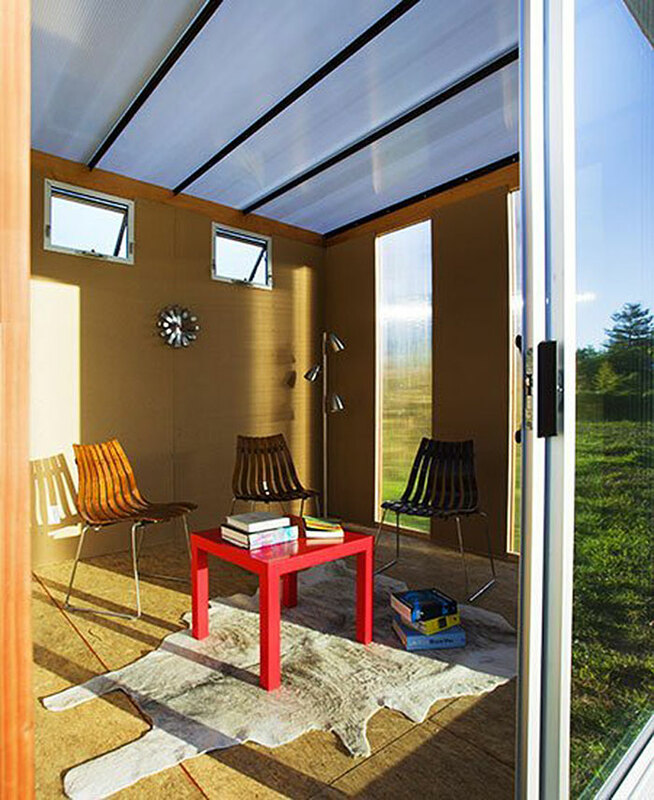 The basic package is an 8×8-foot shed that starts around $5,900 and you can add on a bathroom, kitchenette and front porch for additional cost. This Seattle-based company was founded by husband and wife, Ryan Grey Smith and Ahna Holder. 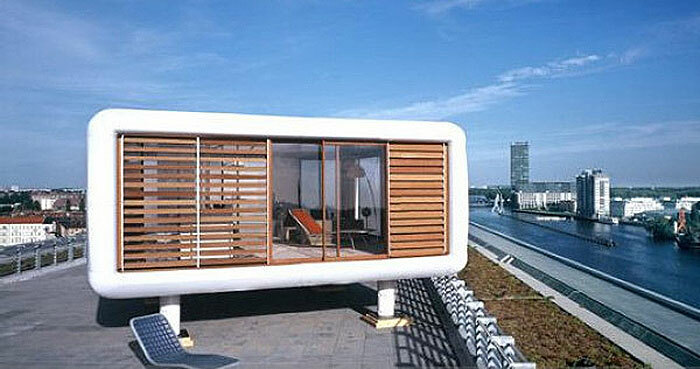 They create flat-packed prefab structures. 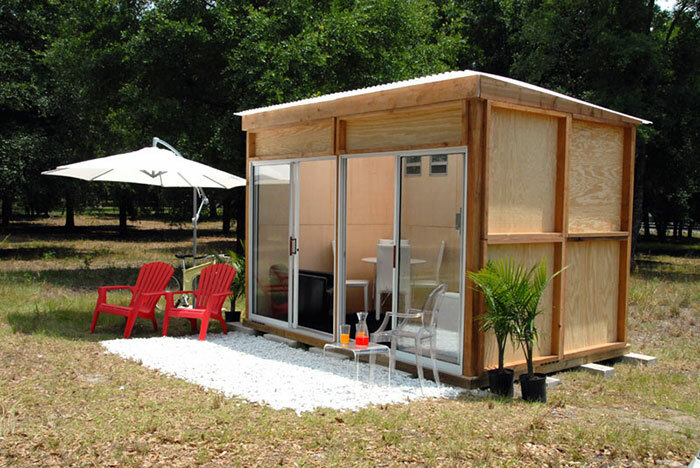 Basic 8×10 sheds start at $6,900. 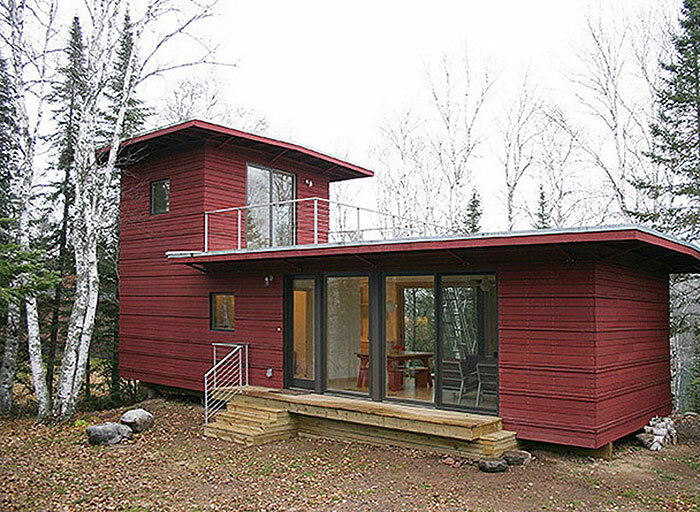 The Weehouse Studio was designed by Minnesota’s Alchemy Architects. 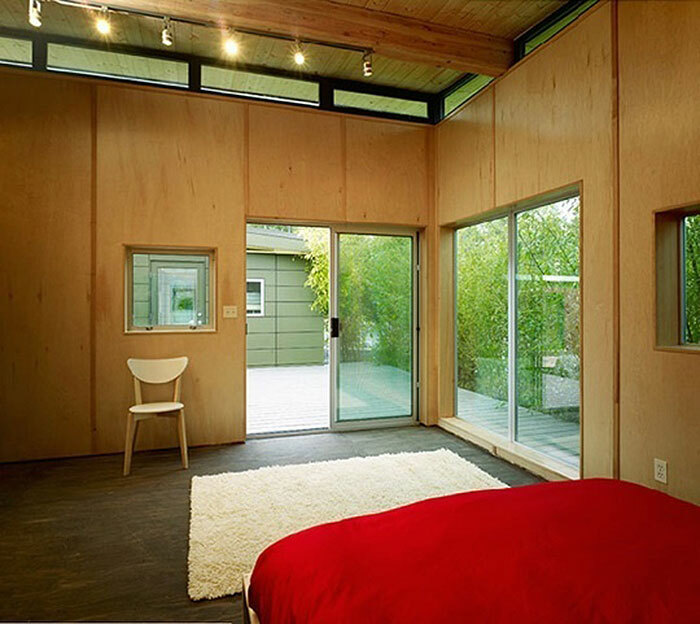 They start at 435 square feet, and include a main room and bathroom. 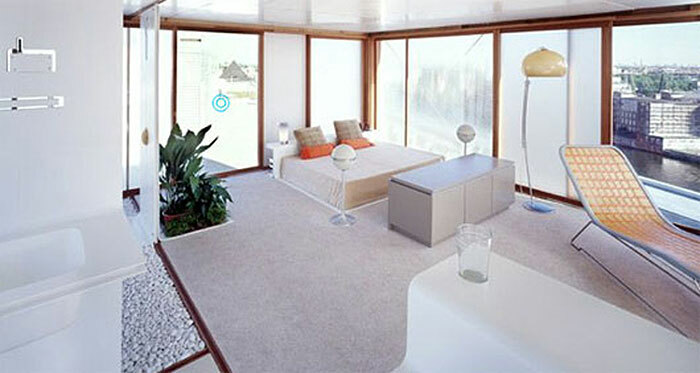 It can be used as either a home office, guest house or even a main residence. The KitHause was designed by Tom Sandonato and Martin Wehmann. 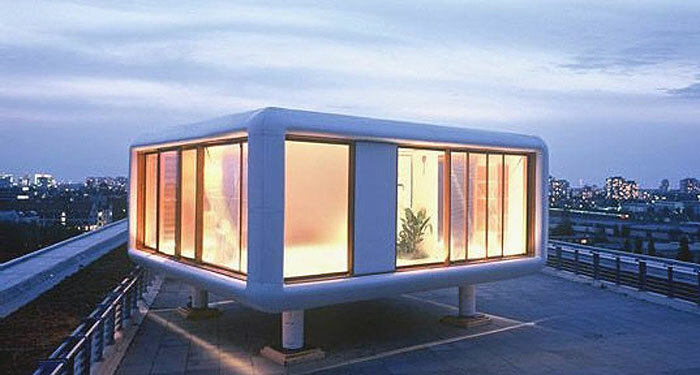 It is a modular site-constructed prefab housing system. 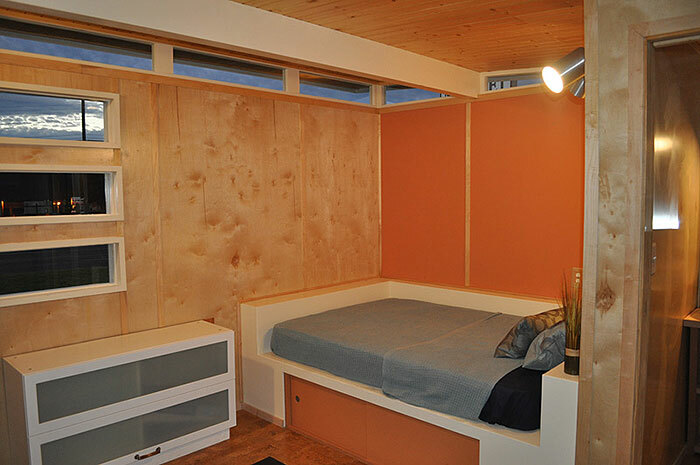 The K-Pod is the starting model and measures 117 square feet. They also have larger models. “Forts for grown-ups!” Yep, that’s how they describe them. These come in four pretty box styles. A fully installed shed with a foundation and finished exterior starts at $6,000. On-site installation is currently only available to California residents. Werner Aisslinger designed these sheds to make the extra space on top of city skyscrapers more productive. 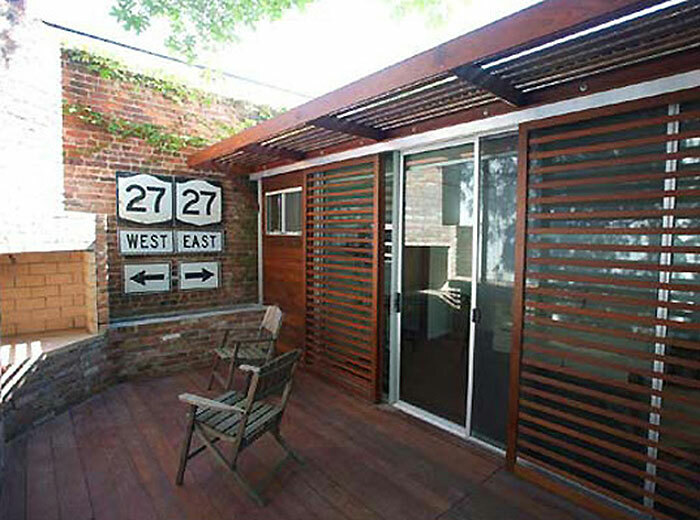 He was able to fit a kitchen and bathroom within these 400 square foot glass-walled studios. The sheds from this San Francisco company start at 10×12 feet, but they have full studios with kitchens and baths. 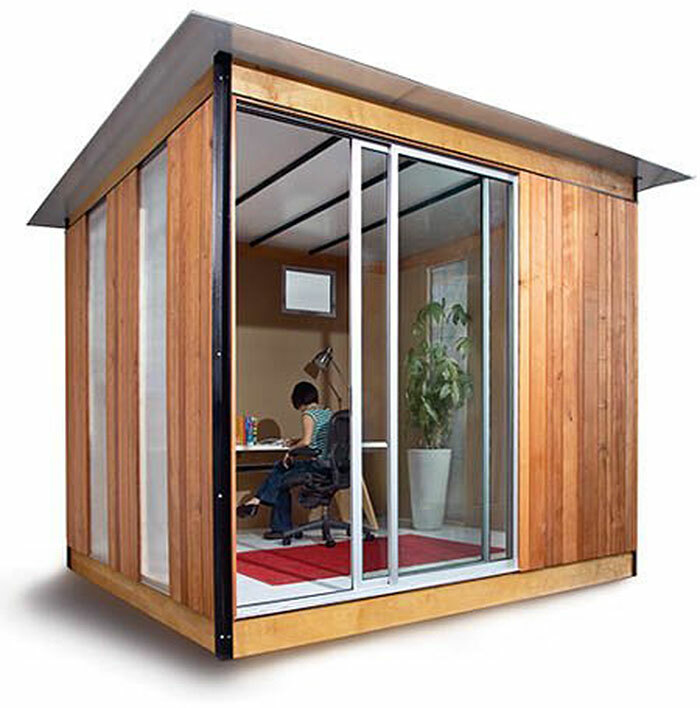 The basic model is perfect for a backyard office with its sliding door. 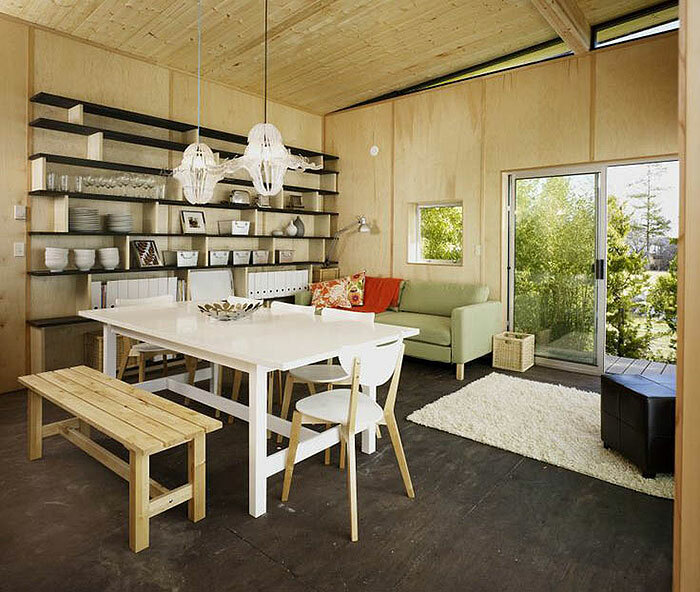 The MetroShed, by David Ballinger, is a prefab, flat-packed model that starts around $6,000. 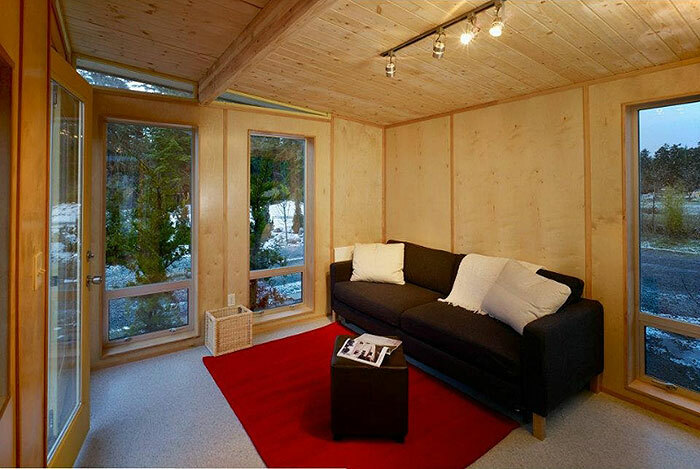 This is a simple design made of cedar wood beam post frames with aluminum-frame sliding doors and comes in 9×13 feet or larger. This entry was posted in The Gold Club Weekly Report. Bookmark the permalink. Neat ideas. They separate the work space from home, but you are still at home.